How do I access my Agent Suite account? Please contact your Project Manager for your account username and password to add listings and update site content. We value our client’s privacy and security, so we only release important information when the client requests it from the Project Manager directly. You can easily manage your leads via Agent Suite. Simply log into your account and click on Leads Management. Easily categorize your leads and communicate more efficiently by keeping track of your calls. You can also manually add leads individually in Agent Suite and import/export lead lists via Microsoft Excel. How do I view my website’s statistics? 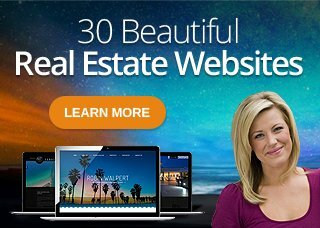 We can work most MLS’s and link to your company site listings.It’s easy. We work with hundreds of MLS’s across the nation. Most require you to fill out a simple authorization form to release your access to us. We are usually provided with a link to your listings that we input into your real estate site. Buyers will be able to visit your real estate site to see listings in your area. With our back-end management system, you can also upload your properties via Agent Suite to show up on your designated properties page. Your property section will include photos, property info, printable flyers, virtual tour capabilities, appointment forms and email capabilities. Your Project Manager will provide you with your access links, login info and instructions on how to add your properties. It’s as easy as logging into your account, clicking on Edit Your Site > Properties > Add a Property. How to obtain your IDX link. Sometimes certain MLS boards cannot provide an IDX link for clients and can only provide FTP (file transfer protocol) data feeds. IDX is an acronym for Internet Data Exchange. In simple terms, this means extracting data from a Multiple Listing Service and delivering it to a website. We do not accept FTP data feeds for security reasons and only accept IDX links for MLS listings for simplicity and convenience. If you encounter this situation, we do offer excellent alternatives to showcasing your MLS listings. Please contact us for more information. Your own, custom MLS search and lead-capture tools: you control all features and branding images through an easily accessible and secure administrator log-in. “Property Organizer” allows your clients to save multiple custom searches for easy reference at any time. Your clients can also request email updates on any saved search. Please contact your Project Manager for sign-up info and for special savings offers.